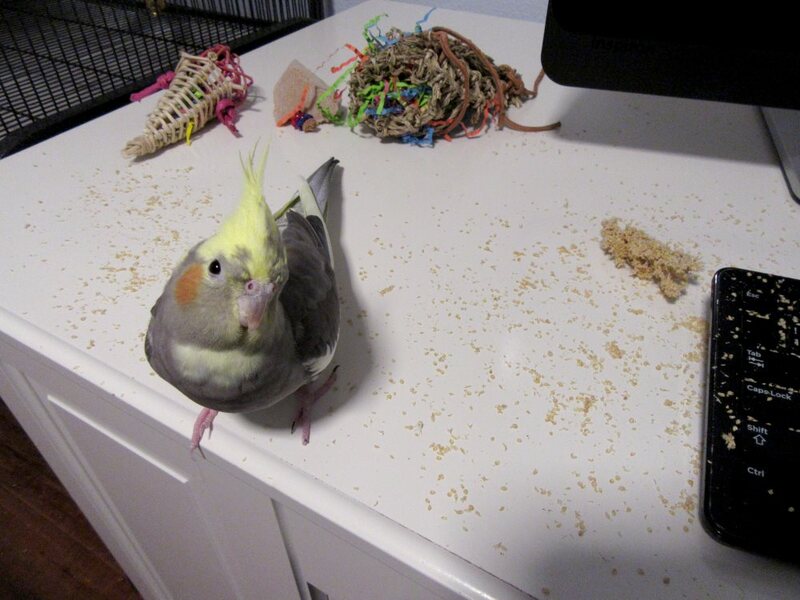 Posted on July 30, 2018 by Michelle M.
This entry was posted in Sido and tagged budgie, cockatiel, Cooper, parakeet, Sido by Michelle M.. Bookmark the permalink. I swear it! It was like this when I got here!